Q Where should a solar panel be installed on my home? A The best place to install a solar panel is facing south. A solar panel can face east or west with some limitations on the heat harvested. The maximum solar harvesting hours are from 9 am to 3 pm. 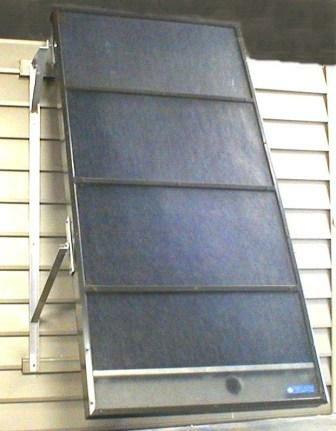 Solar panels may be roof mounted or mounted in a free standing frame. Q How is a Solarway 6000 installed? A The Solarway 6000 can be installed by certified dealers or homeowners who have construction skills. Q How soon will I get a return on my investment? A Properly installed Solarway 6000 will have a payback of about 7 years. Q How much space can I heat with a Solarway 6000? A One Solarway 6000 solar panel heats 300 square feet. 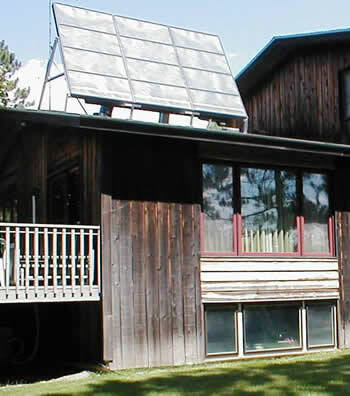 An array of solar panels can be installed to provide more heat. Q Will a Solarway 6000 heat my water for washing, bathing etc..? A A heat exchanger coil may be added for an additional cost to help heat a water tank. Q How can I get more information or see a demonstration model? A Call Ron Anderson at 218-390-6688.